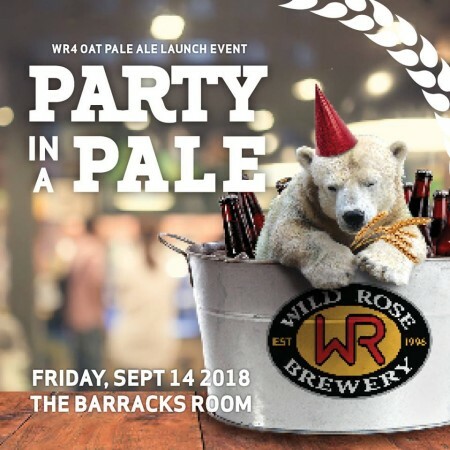 CALGARY, AB – Wild Rose Brewery has announced details of a new seasonal beer that will be released later this week. The new beer will be launched at Party in a Pale, an event taking place at the brewery on Friday September 15th from 6:00 to 10:00 PM. Tickets are $33 and include two glasses of WR4 Ale, a BBQ dinner featuring three dishes made using the beer, door prizes, and live entertainment by the Mitch Belot Band. For more details and to order tickets, see the Facebook event listing.